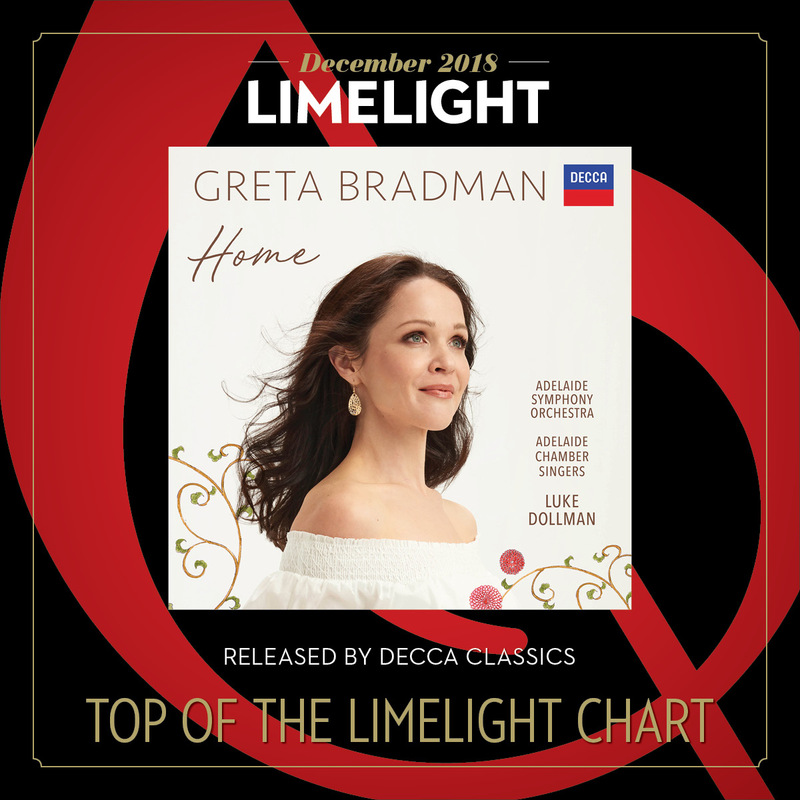 Home is Adelaide-born soprano Greta Bradman’s tribute to her homeland, and features 20 songs and arias that encapsulate the essence of family, friends, and returning to one’s place of origin, including favourites such as Dvorak’s Songs My Mother Taught Me, Mendelssohn’s O for the Wings of a Dove, and the Bach/Gounod Ave Maria. The Limelight chart is compiled using Australian Recording Industry Association (ARIA) figures. The young classical guitarist tells us about his debut solo performance at the 2019 Peninsula Summer Music Festival, and future plans. Greta Bradman, Ray Chen, Sally Whitwell, Slava Grigoryan and Tamara-Anna Cislowska have all received nominations in this year's awards. Fresh from her fifth tour of regional Australia, the popular soprano tells us why she recommends getting out of the city and connecting personally with audiences.